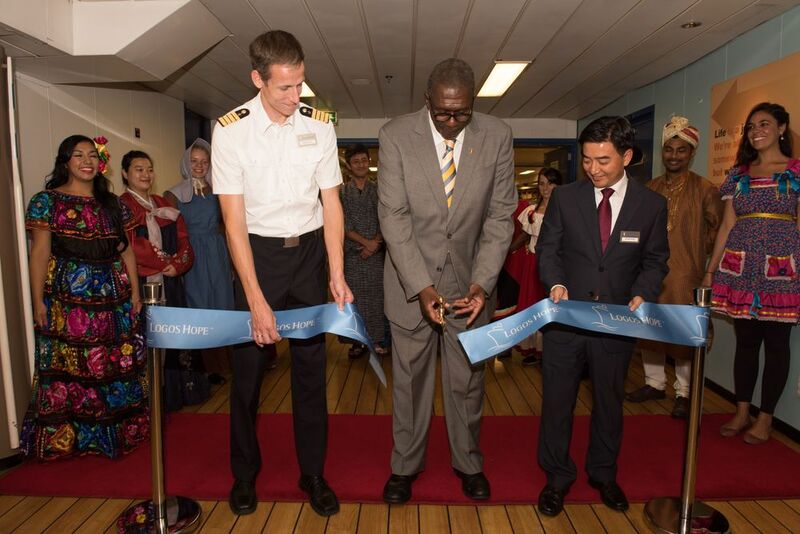 Barbados: Bridgetown, Barbados :: Captain Samuel Hills (Germany), Barbadian Senator Harcourt Husbands and Director Pil-Hun Park (South Korea) cut the ribbon to open Logos Hope to the public. When a government minister misses a cabinet meeting in Barbados, it has to be for a good reason. 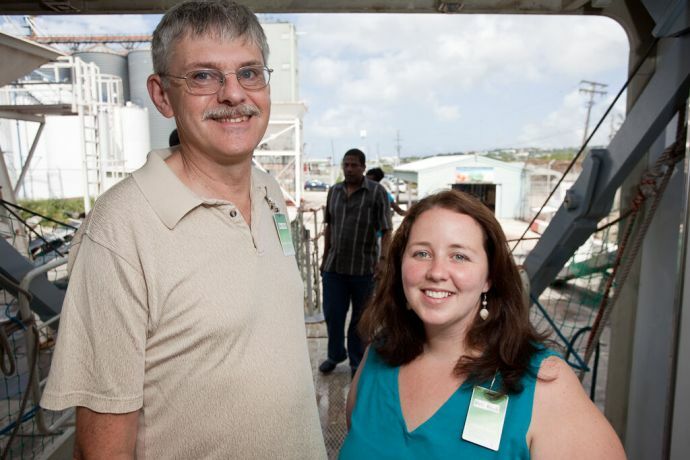 Senator Harcourt Husbands, the island’s Parliamentary Secretary in the Ministry of Education, Science and Technology, had to obtain permission from his Prime Minister to skip the weekly government discussions in order to attend the official opening of Logos Hope in Bridgetown. “No meeting – whatever it is – takes precedence over our attendance at cabinet. 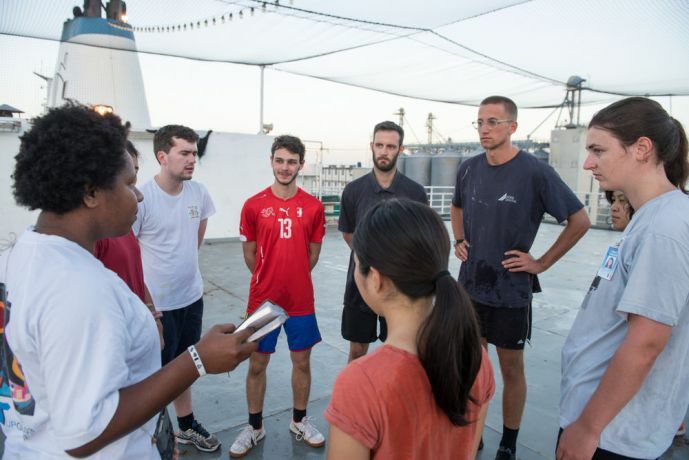 That can only emphasise the significance and high esteem this country places on your visit,” Senator Husbands told the crew as he welcomed the vessel, joking that the captain would have to sign his permission slip to take back to the Prime Minister. 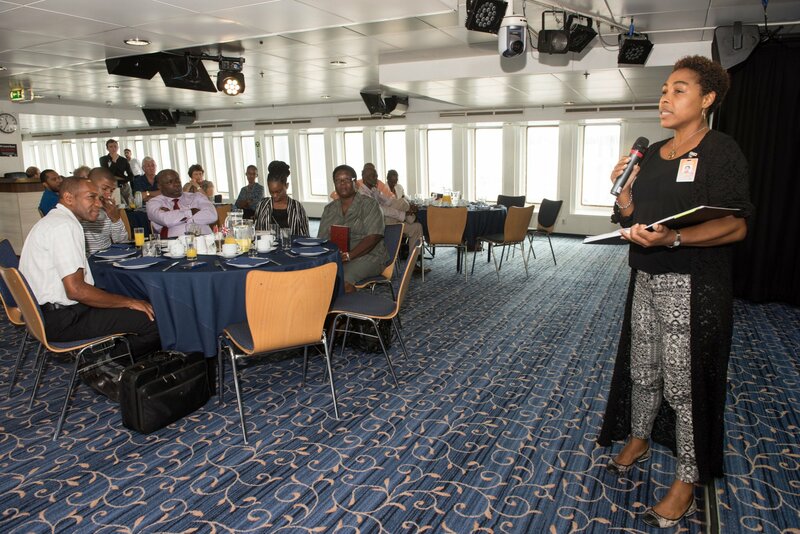 “Logos Hope represents a micro-community and is a clear picture of what a larger community could – and should – be,” said the senator, as he commended the unified spirit of the diverse crewmembers and expressed the wish that Barbadians would be inspired to follow such an example. 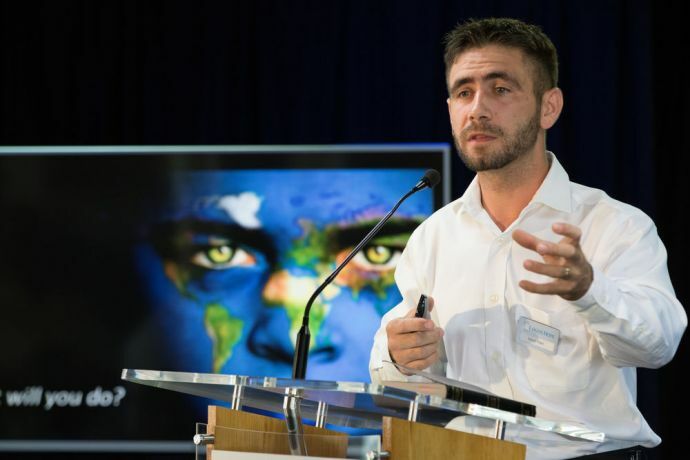 Logos Hope’s partnerships director, Randy Grebe (USA) cited Barbados’ 98% literacy rate, remarking that it was clear the islanders valued books and learning. 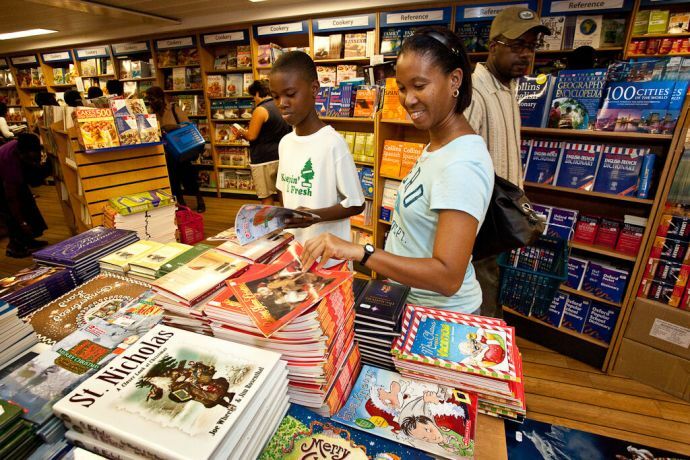 The senator, who is a former teacher, told the story of his father taking him on a long walk to begin his membership of the public library when he was a boy of nine years old. 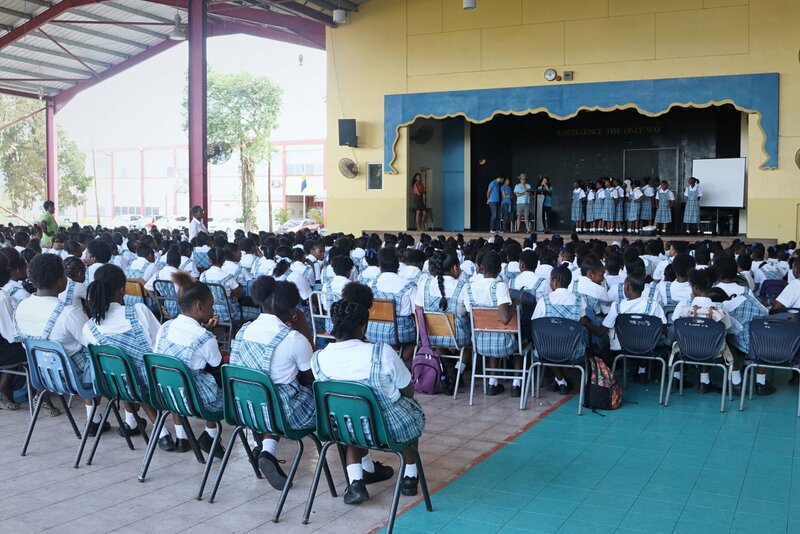 So, in effect, students have their own permission slip from the government to come to Logos Hope! 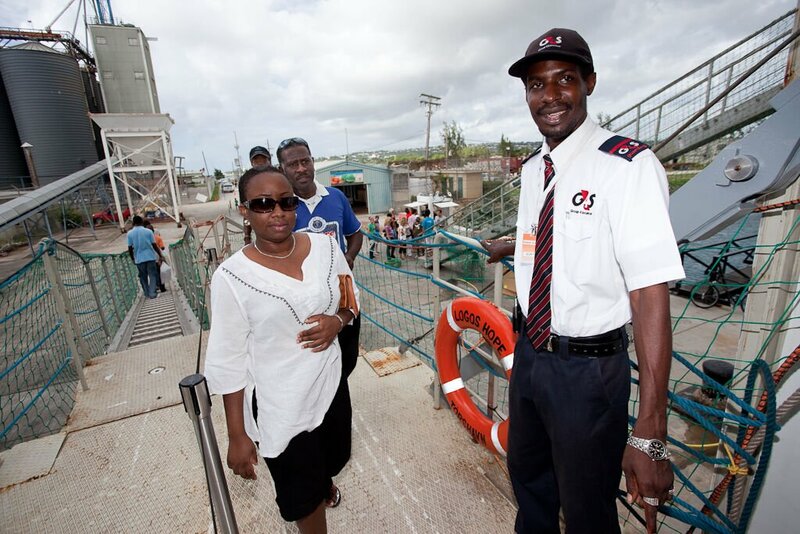 All on board the ‘book ship’ look forward to welcoming Barbadians to visit until 17 November. 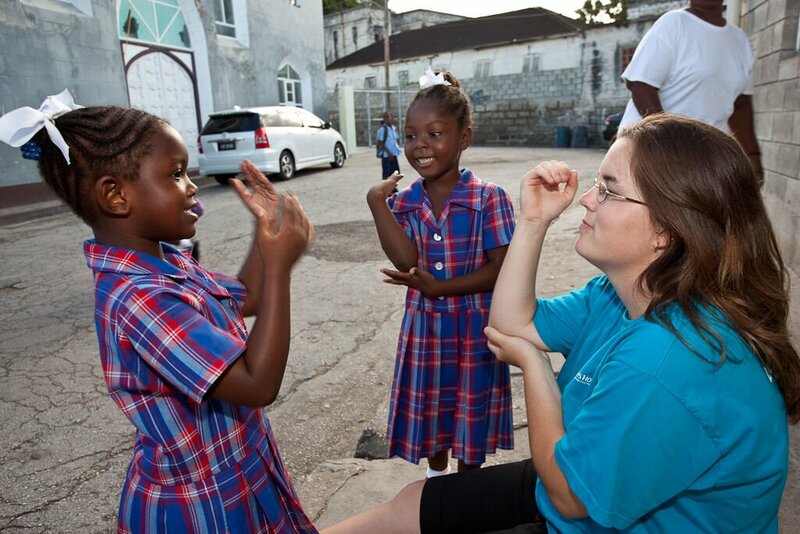 Our vision for the Caribbean and its believers is for them to: Go, Pray, Give, and Grow. Bridgetown, Barbados :: Logos Hope's crew visits expectant parents at a pregnancy support centre. 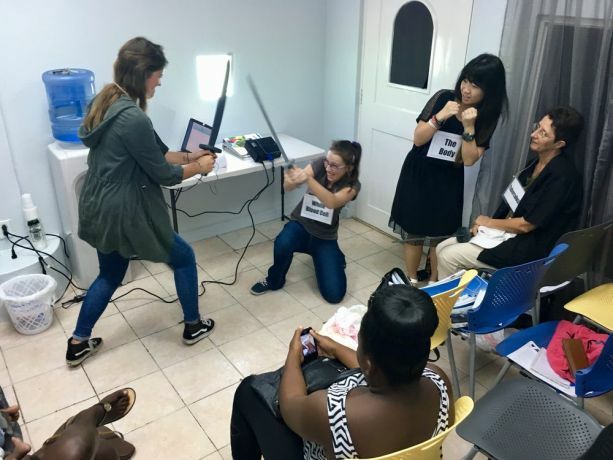 Bridgetown, Barbados :: Schoolchildren fall for the tricks human traffickers could use on them - and are warned of the consequences by a team from Logos Hope. 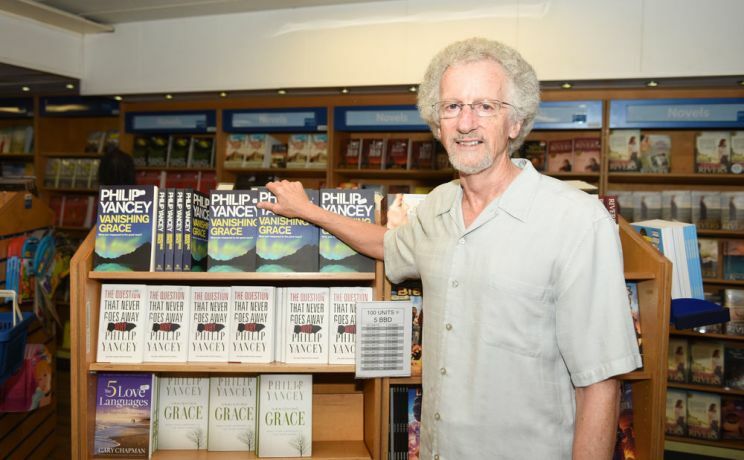 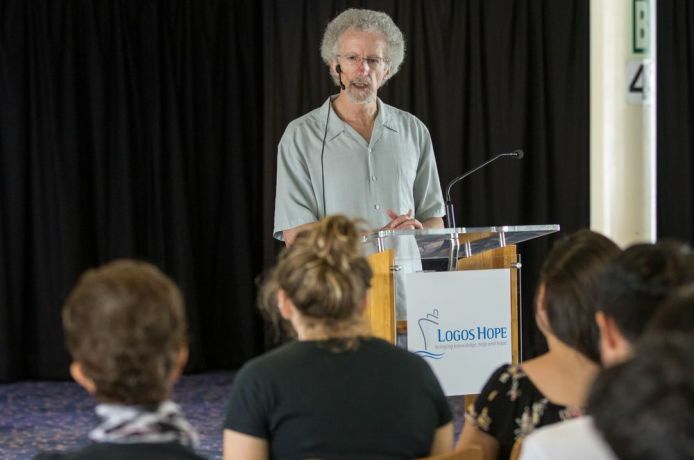 Bridgetown, Barbados :: The Christian author, Philip Yancey, visits Logos Hope and encourages the crew in their service.